Kunal Ghosh (left) and Rajeev Kumar in file photographs. 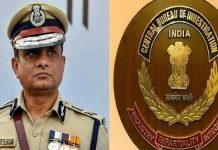 Silchar / Kolkata: CBI is unlikely to allow Kolkata Police commissioner Rajeev Kumar to return to Kolkata as yet. 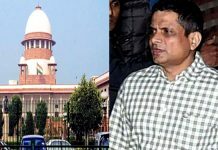 Kumar went to Shillong on 8 February afternoon and has been facing CBI grilling on the chit-fund scam from 9 February onward. The Supreme Court had directed CBI to question him at a “neutral venue” Shillong. At the end of the third day of questioning this evening, CBI sources said that the Kolkata Police commissioner has been asked to reappear tomorrow 12 February as well. This is even as CBI has told former Trinamool MP Kunal Ghosh, who was questioned face to face with Kumar today and yesterday that he can fly back to Kolkata. Ghosh was arrested by a Bengal government appointed special investigating team (SIT) in the chit-fund scam and came out on bail after three years in jail. Before leaving the CBI’s Shillong office at Oakland Road today, Ghosh told reporters that he has fully cooperated with the CBI and is happy the way the questioning has been conducted. “I have participated in the confrontation session with Rajeev Kumar yesterday and today. I consider this a moral victory that after the lapse of so many days, Kumar had to face my allegations and respond to them in front of the CBI,” a visibly joyous Ghosh said. Ghosh declined to divulge the details but while in jail he had written a letter to CBI which gist was that Trinamool leadership, including Mamata Banerjee, benefited from the chit-funds and that Kumar’s SIT did not probe the case properly. Kumar, who has checked at the CBI office around 11 this morning and left at 7 in the evening, appeared to be engrossed in deep thoughts. He was accompanied by Jawed Shamim, additional commissioner Kolkata Police, in the car. CBI questioned Kumar for six hours on 9 February, 11 hours on 10 February and, about six hours today. Even after the 22 hours of grilling, he has been asked to appear tomorrow at 10 am. Sources informed that Kumar today told CBI officers that the school final exams in Bengal are commencing tomorrow and hence, he needs to be back to Kolkata at the earliest. Despite this, the CBI asked him to appear again tomorrow. CBI sources maintained that they had prepared 280 questions on which Kumar has been quizzed. 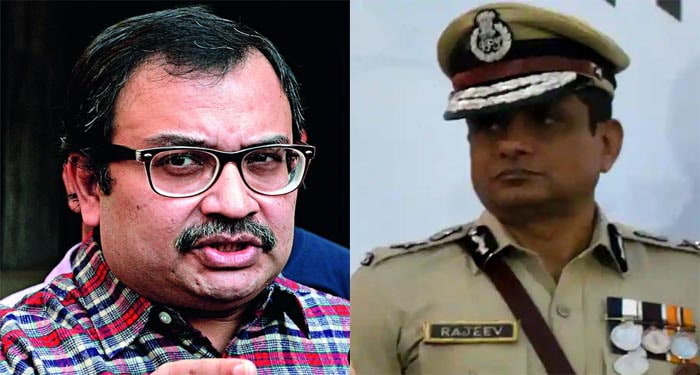 The Kolkata Police commissioner, although not demonstrating hostility, has not properly answered some of these questions as yet.